The Autism Society is part of an Autism Safety Coalition that Includes The Arc, Autism Speaks, TACA, The Color of Autism Foundation and other nonprofits that are currently lobbying their members to support a bill through both houses of Congress called S. 2614/H.R. 4919 they have renamed Kevin/Avonte's Law. I oppose these expansions to the Alzheimer's protection bill because I see it as building a foundation to monitor and criminalize autistic children of color without physical incarceration. It is too much like pushing the culture of the ankle restraints and GPS tracking initiatives that is the latest morphing of the mass incarceration system, and our nonprofits are lobbying for the funding to support and promote it in the name of gaining police training funding for their organizations to aid in "protection from wandering." There is a movie, a critically acclaimed and panned U.S. box office flop, called "Boxing Helena," about a surgeon who is obsessed with his neighbor, sees her hit by a car, kidnaps her, and amputates her legs and later her arms in an attempt to keep her "safely" under his control. In the Autism Wars for safety, parents and organizations, eliminating autistic input while marinating in fear that autistic loved ones or autistic charges in the care of organizations might wander off and come to harm, are behaving very much like Dr. Nick Cavanaugh, have obsessively taken action to sever privacy, agency, and self-advocacy from autistic children and adults in the name of ensuring safety. Training, that term that means very little in the scheme of things because it discounts those humans actually doing the wandering but generates income that could be used more effectively elsewhere (meaning respite and community accessibility and enrichment support services that might engage neurodivergent people with wanderlust) is now deemed to be the answer. Training and of course processing our children like any other person entering the criminal justice system. Parents have started databases kept by police of their children with their biographical information and DNA. Organizations are using the death of Avonte Oquendo to push legislation through to train, to give funding to law enforcement for training, with the goal of reducing "wandering behavior" and keeping their autistic loved ones "safe." Let's look at two cases of wandering and analyze the wide scope of an ill-defined legislative action and where my concerns lie. Nadia Bloom, an 11-year-old who for some reason news organizations put the Aspergers label on rather than stating she was autistic, watched her father and sister leave for a camping trip to the Everglades with her sister's Brownie troop. She was excluded from such a trip. Carrying a book called "Lanie" about an adventurous girl who loves the outdoors, Nadia sets off into the alligator-ridden swamp and gets lost. A frantic search for her ensues. Four days later she is found by a neighbor who attended her parent's church, covered in mosquito bites but otherwise alright. Nadia later stated she got caught up in the wildlife and lost track of landmarks and time. 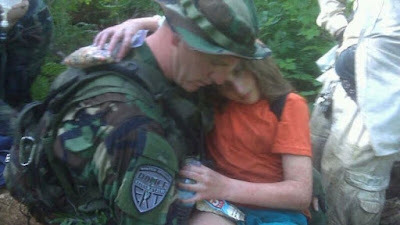 "Mr. Allen, of Morgantown, wandered away from his parents during a Sunday afternoon hike in the Dolly Sods Wilderness Area. " Per CBS news: "After four cold days and four nearly freezing nights, searchers spotted the 18-year-old sleeping under a thicket of laurel in the Dolly Sods Wilderness Area, part of the Monongahela National Forest." "It made sort of like an umbrella, but underneath it was bare and open," State Police 1st Sgt. Jim Wise said. "It made some type of shelter." "Though Allen was less than a mile from the spot where searchers had found his hat Monday, the brush kept his location hidden until Thursday afternoon. Wise believes it also may have kept the teen, who is nonverbal, from wandering toward 20- to 30-foot cliffs." "He rolled over after I called his name and he didn't have much in the way of reaction, but he recognized me. I could tell," said Jeremy Reneau, 25, the first to spot Allen. " The devices are the same and serve the same purpose. So Mr. Allen is under permanent house arrest and monitoring for the crime of walking too far ahead and becoming disoriented and lost. No one wonders why he "elopes." This is their solution. Spoiler alert: Boxing Helena was in the end a perverse dream of a surgeon about his neighbor. Acting to restrict any individual without understanding why he feels the need to wander and without his consent is inhumane. 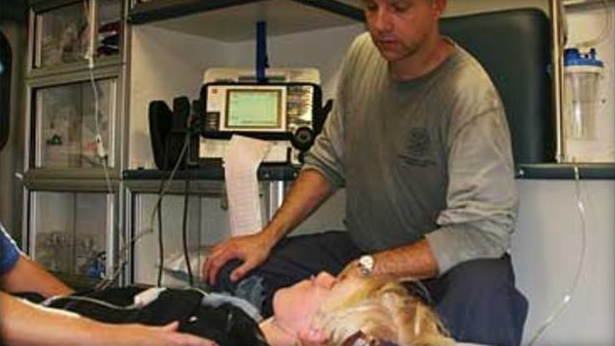 Our nonprofits are all okay with doing this to any autistic child or adult unable to give consent. And we are all okay with that? I remember being young. Going where I was not supposed to go to test my boundaries and test my limits at the behest of friends who didn't have much better sense than I did. I've also lost myself on forest trails but have been fortunate enough to have the basic knowledge to find my way out again. My mother lost my sister and I when I was a toddler during the press of a crowd at JFK. When she found us no one suggested she shackle us together to keep better tabs on us. The term Wanderlust was created to define the human need to wander and explore. Entire peoples based lifestyles on nomadic life and some continue to do so today. So wandering is an instinct in us. I think wandering isn't the issue but how to ensure safety of those who do and how to understand this need is the issue and we are not addressing that. The zeal to embrace a cycle of police centered training and monitoring and restricting movements of our people as a solution among autism organizations with disregard for the consent of those who will be forced to endure it all is not only ableism in legislative advocacy, it is ethically and morally bankrupt as a solution to protecting children and nonspeaking autistic adults if they do not or cannot proactively consent to such measures. Any action that places disabled individuals under surveillance without their consent and restricts their movements is a violation of their human rights and tantamount to incarceration. Police have been trained, this did not stop an officer in Florida from aiming for nonspeaking autistic citizen Arnaldo Rios Soto and shooting his support aide. Clearly acquiring even more funding to train them is not going to solve that problem either. Funding these types of measures are not a solution. Boxing wanderlust will destroy those people we are trying to protect to supposed solve the wandering issue. Funding that could be used for more humane protections and patient centered research into the nature of wandering being used to do this is variant of shackling is wrong. I am against these measures without the consent of those they purport to be for, and to my knowledge no one autistic has been asked to consult or discuss the impact on autistic individuals of Avonte's Law. It is an abomination to me that the name of an African American autistic teen be placed on a bill to fund shackling autistic youth and nonspeaking adults. Although it doesn't seem like serious things may go down soon, the waters are pretty murky. Stay vigilant. As aside, parents of teens, young adults using GPS function of cellphones and cars to track their movements.